In March 2012, the Conservative government changed the pardons rules which made it more difficult to obtain a pardon. 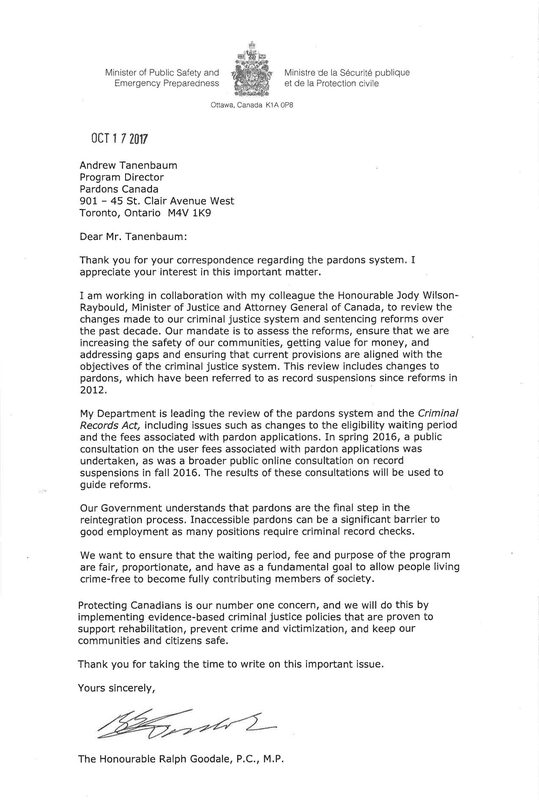 They extended the waiting time or eligibility date to receive a pardon from 3 to 5 years for summary offences and from 5 to 10 years for indictable offences. This change in law also included a name change from the word “pardon” to “record suspension” even though the effect is the same. Once the pardon or record suspension is granted, it is no longer available to be seen by the public making the criminal record removed from the police and RCMP database. The waiting periods mandated by the new law in 2012 are punitive and unfair for those trying to rehabilitate. Pardons Canada has been advocating over the past 5 years to change the laws back to the previous pardons laws. We have had success as the Ontario and BC Supreme Courts have ruled down the new laws for all offences that happened prior to March of 2012. Thus allowing anyone who had a conviction before that time to be eligible for a pardon under the old rules. Pardons Canada – Will Pot Offences Be Pardoned?